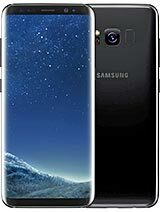 does the music edition only available in black? don't they have the original casing but ME? Good day GSMarena users!!! I just want to share my opinion regarding the N70. Actually, Iam using N70 Music Edition the only difference are the following: color, mmc (which is included in the sales package), integrated music key function. All I can say is that I love this phone the operation is very fast and the camera is so so clear. Good job Nokia!!! More power. can anybody tell me- what is the difference between Nokia N70 and Nokia N70 music edition? I want to buy one of these. please help me. why is my n70 signal not that strong compare to K750i? using same network on both phones. N70-3bars while K750i-Full bar and its more stable compare to N70. is it normal or my N70 got probelm? N70 it have carll zeis optic lens like n93? My phone keeps saying delete som data even though i have heaps of memory. can anybody help me on that issue.? Can any one tell me How to uninstall the installed Themes and to uninstalled software from the Phones like Antivirus. I have Nokia n70, Made in Finland one the back cover is black in colour. Works perfectly no malfunctions so far. Would appreciate if someone could tell me where I can get file defragmenting software? What's the color of the back of the phone if its made in china??? finland? Guys, don't be misled by its name or popularity. It's all the same, except for a phone equipt with DVD-Audio sound processor. Hmm, when will that be...Enjoy! i've been using my n70 for since it first came out(bout 2 years or so).. even using the oldest firmware for this phone, its a big shock to me that other users are seeming to have lotsa problems with thiers, while im not(touch wood).. i think that the new versions of this phone has problems, and it might be the users who do not know how to take care of this valuable thing.... till then..